Aeromotive is open for business Monday through Friday, 8:00 AM to 5:00 PM CST. Warehouse distributors (WD) and jobber accounts may fax written purchase orders to 913-647-7207 or email orders to [email protected]. Aeromotive has established requirements that must be met and maintained by all WD accounts. WD’s must be able to maintain a representative stock of Aeromotive merchandise for distribution to jobber accounts. All orders will be shipped COD or prepaid via credit card unless approved for open terms prior to ordering. Aeromotive normally ships all merchandise via UPS Ground. Customers may authorize expedited shipment for an additional charge. All shipments are sent FOB Origin. Claims for damaged materials must be made with freight company. Damaged merchandise should not be returned to Aeromotive without prior arrangements. All prices are subject to change without notice. Current price lists are available from Aeromotive or your local warehouse distributor. All Aeromotive products sold are warranted free from defects in materials and workmanship for a period of one year from the original date of purchase. 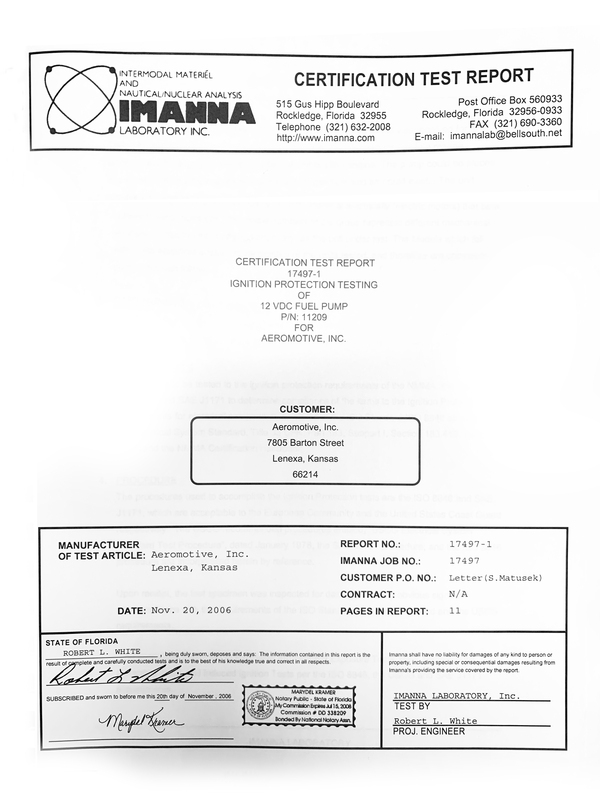 No warranty claim will be valid without authentic, dated proof of purchase. This warranty is to the original retail purchaser and none other and is available directly from Aeromotive and not through any point of distribution or purchase. If a defect is suspected, the retail purchaser must contact Aeromotive directly to discuss the problem, possible solutions and obtain a Return Goods Authorization (RGA), if deemed necessary by the company. All returns must be shipped freight pre-paid to the company and with valid RGA before they will be processed. 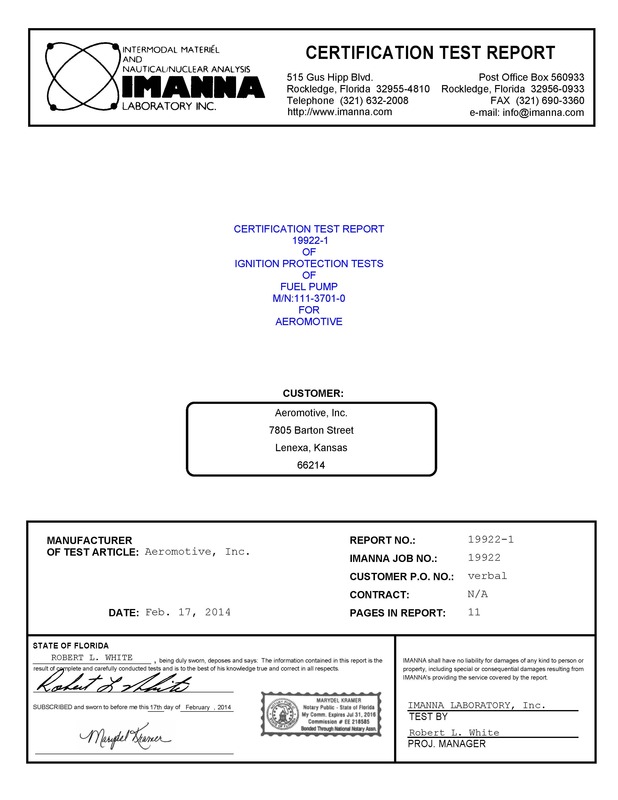 Aeromotive will examine any product returned with proper authorization to determine if the failure resulted from a defect or from abuse, improper installation, misapplication or alteration. Aeromotive will then, at its sole discretion return, repair or replace the product. If any Aeromotive product is determined defective, buyer’s exclusive remedy is limited in value to the sale price of the good. In no event shall Aeromotive be liable for incidental or consequential damages. Aeromotive fuel system components are not legal for sale or use on emission controlled motor vehicles. The telephone number to contact Aeromotive Returns and Repairs for help with a warranty claim is 913-647-7300, then dial option 5. Be certain to have the part in question, along with proof of purchase and a pen and paper when you call. Any product returned for warranty by a distributor, retailer or party that is NOT the actual retail purchaser, requires proper RGA and authentic proof of customer purchase. 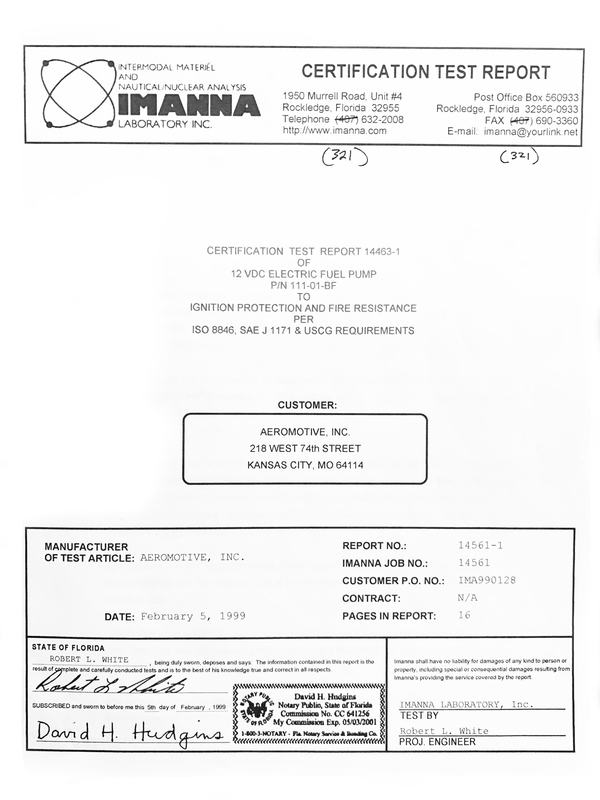 Authorized returns that do qualify as “in warranty and defective” will NOT be processed for credit, but handled as any other warranty return, where the product will be repaired if possible or replaced with rebuilt or new merchandise of equal performance and value. Returned product NOT “defective” or NOT “in warranty” will be destroyed or returned as-is, by distributor request. New product returns for stock adjustment are allowed annually. All returned merchandise requires advance approval from Aeromotive along with the assigned RGA number. All returns for stock adjustment must be in perfect condition and if above 5% of annual sales orders, are subject to a 15% restocking fee. All returns will be for account credit only. Aeromotive does not make cash refunds. AEROMOTIVE FUEL SYSTEM COMPONENTS ARE NOT LEGAL FOR SALE OR USE ON EMISSION CONTROLLED VEHICLES.